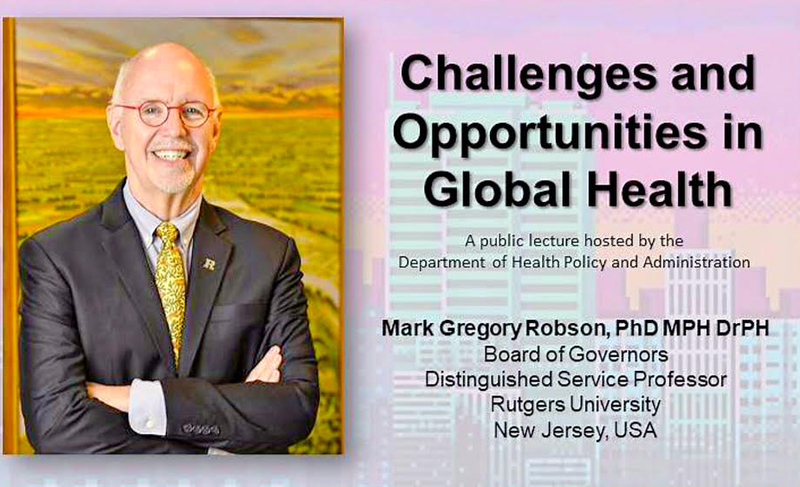 The College of Public Health is committed to develop the capabilities of its constituents to assume greater responsibilities for the improvement of people's health and quality of life. 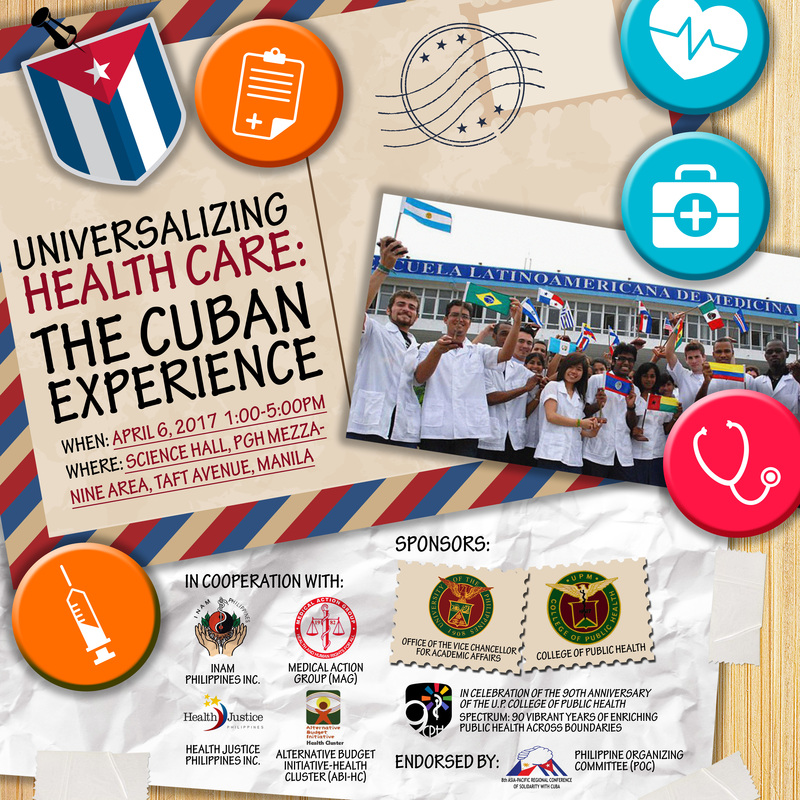 The College of Public Health invites you to a health forum entitled "Universalizing Health Care: The Cuban Experience"
Three departments of the College of Public Health (DEOH, DEBs, and DHPA) are inviting everyone to a FREE public lecture. 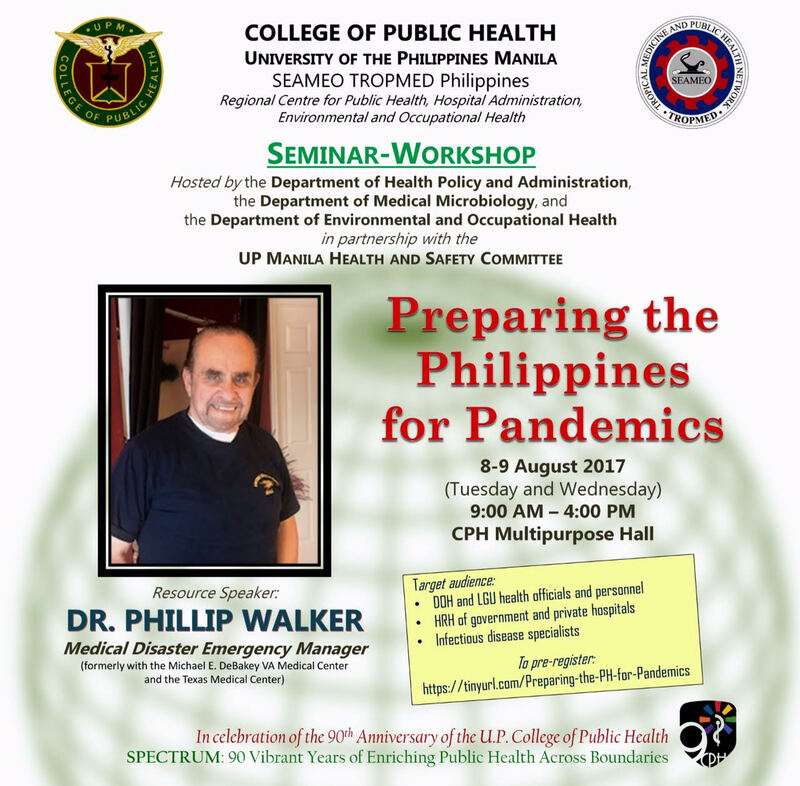 You may also visit https://tinyurl.com/Mining-Health-Lecture for more information. This invite may be shared to your contacts who may be interested. The Department of Medical Microbiology invites you to "Retroviruses and us: Our Quest for Cure and Beyond" lecture. With Dr. Takashi Okamoto from Nagoya City University as the guest lecturer. 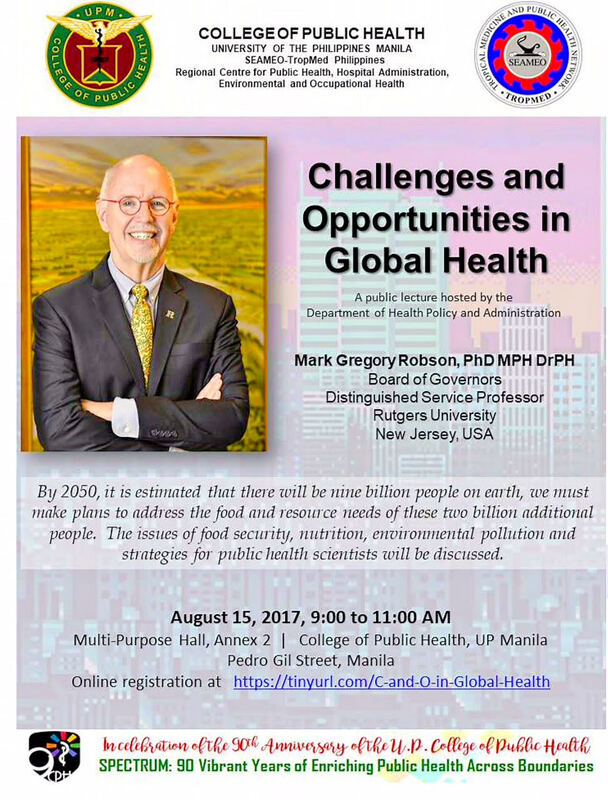 The Department of Health Policy and Administration invites you to a Lecture Series on Health Systems.